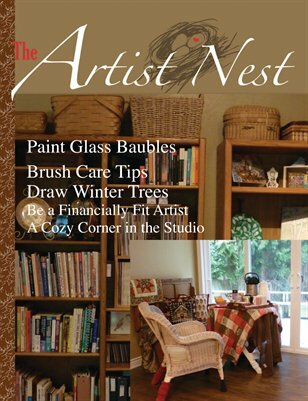 The Artist Nest Magazine is brimming with step by step painting instructions, drawing and design instructions and information that is useful to china painting and glass artists. The step by step instructions are beneficial to all artists at any level. You will also find information for the artist who is setting up an art studio as a hobby or business.